Casey’s family has just moved to a new house and she’s feeling lonely. 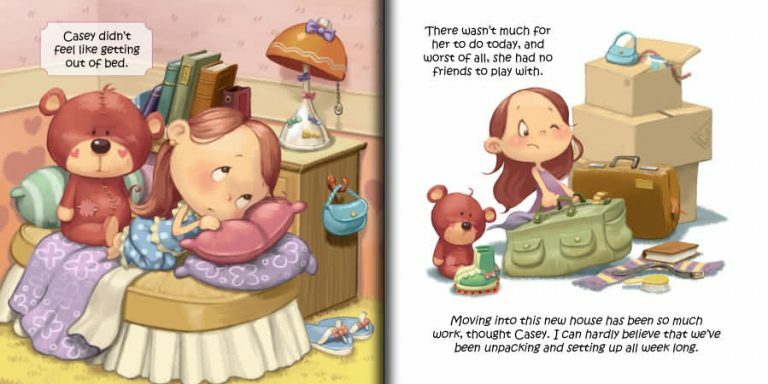 She’s insecure about making a new friend, but talks with God about her feelings throughout the day. He reminds her of Bible verses that give her ideas on how to gain a new friend, starting with her neighbor. Casey’s family relocated and she’s insecure about making new friends. She talks with God about her feelings and he reminds her of Bible verses that trigger ideas on how to gain a new friend. 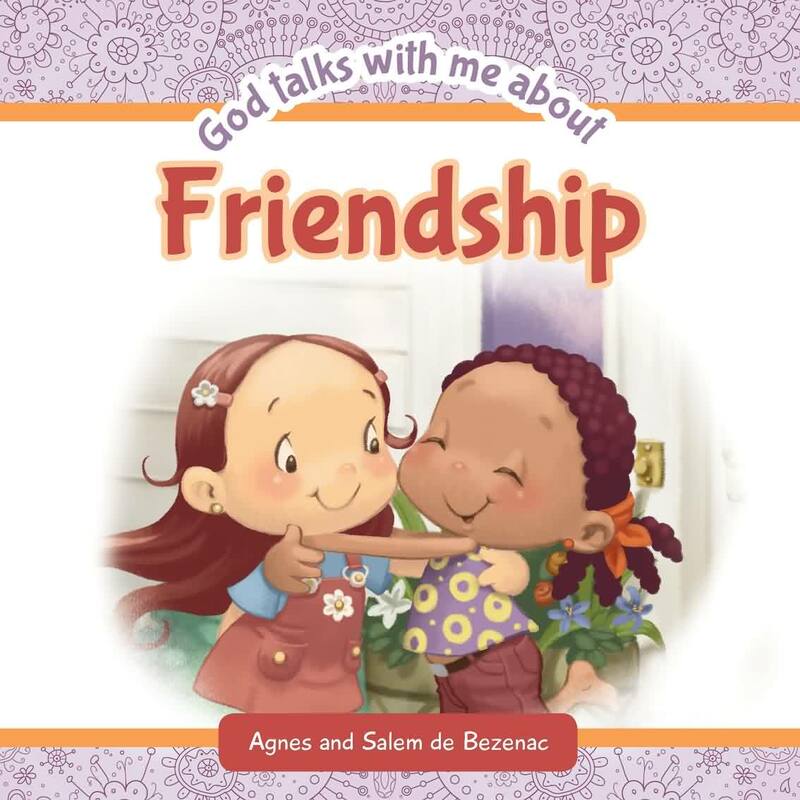 What I Like: The illustrations in, God Talks With Me About Friendship, are fantastic. There is such detail and such scenery that children will be drawn much more into the story. 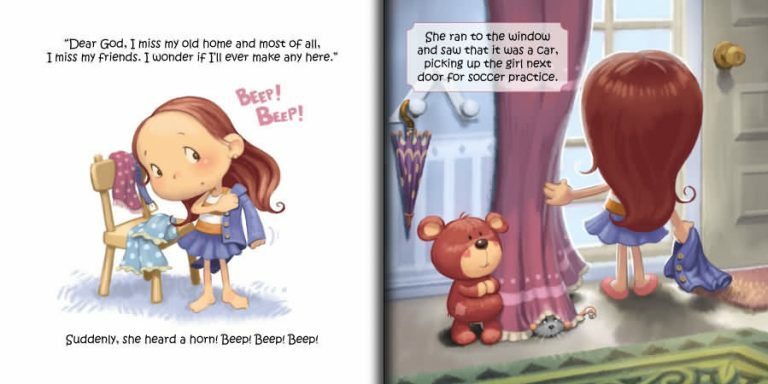 The illustrations help add another layer to help kids understand what the author, Agnes de Bezenac, is truly trying to say. There are several verses used throughout the story. 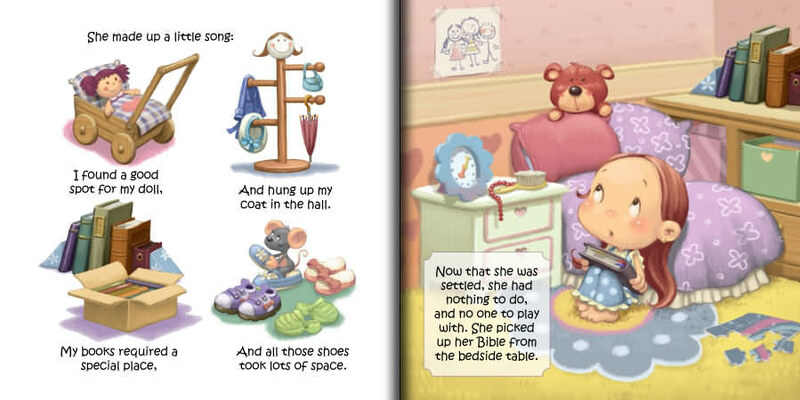 The verses resonate one with another creating a basis of faith for children to easily grasp and remember. In the story the little girl reads and remembers her scripture. There are questions at the end of the book to ask young readers to help create conversation regarding God’s role in friendships. What I Dislike: Some of the language used is better suited for older children and not the intended age group of 7 and under.